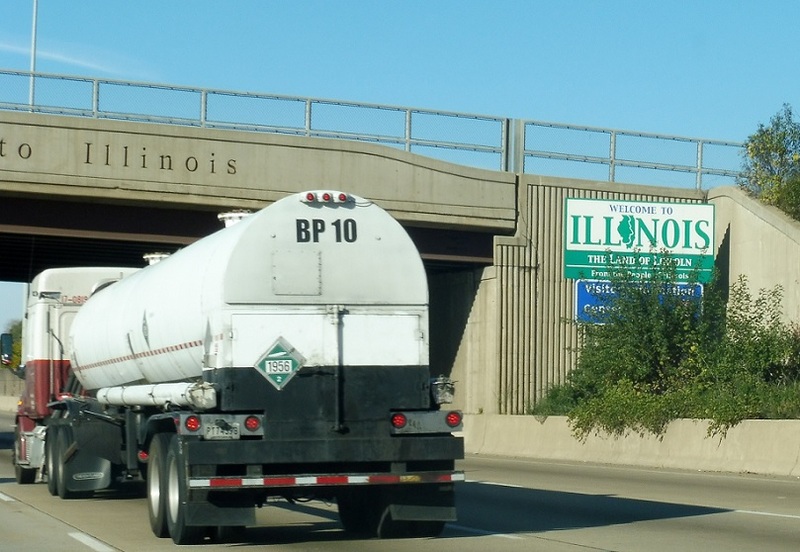 After US-41, we’re advised of several upcoming Illinois exits. 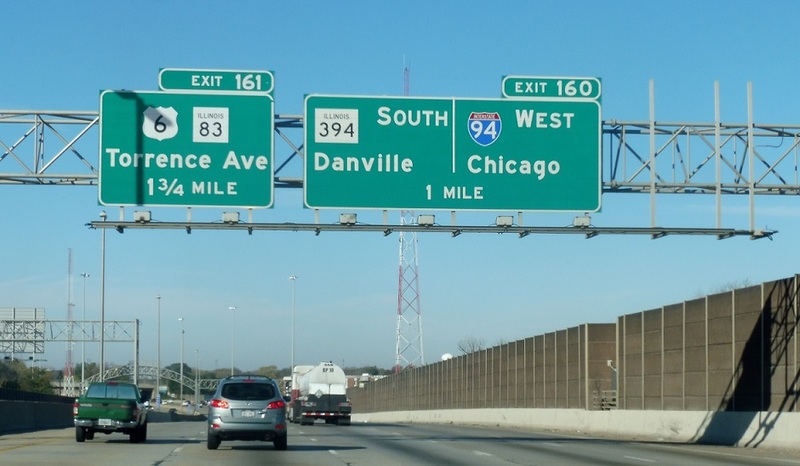 The first exit in Illinois will see US-6 split onto Rte. 83, followed by an I-94 split at the Rte. 394 interchange. Welcome to Illinois! I-94, with I-90, serves as the main freeway through downtown Chicago before heading up to Wisconsin.